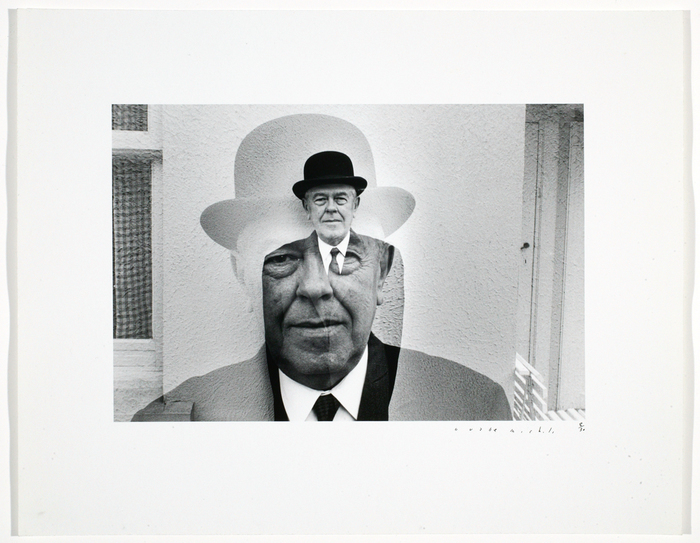 Duane Michals is an American photographer who creates narratives within a series of images. 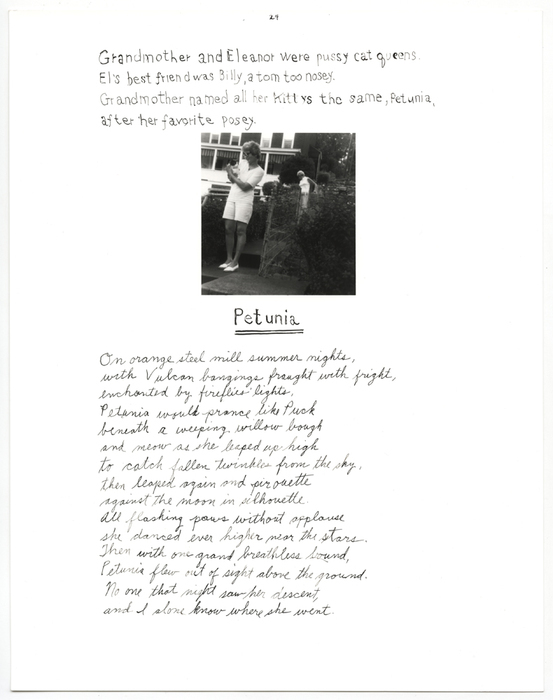 Blending images with text in a format similar to cinematic sequences, his hallmark process is evinced in a group of 9 photographs titled Things are Queer (1972). 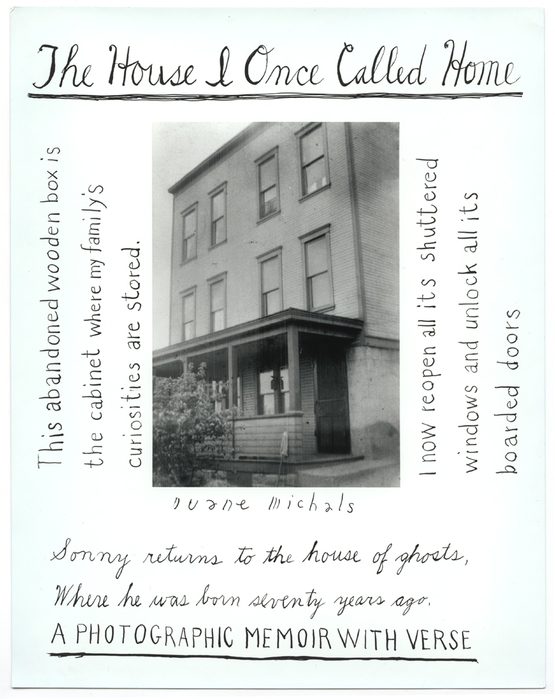 Michals’s interest in art “began at age 14 while attending watercolour university classes at the Carnegie Institute in Pittsburgh.” In 1953 he received a B.A. from the University of Denver. After two years in the Army, in 1956 he went on to study at the Parsons School of Design with a plan to become a graphic designer; however, he did not complete his studies. He describes his photographic skills as “completely self-taught.” In 1958 while on a holiday in the USSR he discovered an interest in photography. The photographs he made during this trip became his first exhibition held in 1963 at the Underground Gallery in New York City. Some artists search for a technique, a genre, a style, a voice and once they have discovered it, they make it theirs and settle down. As “mature” artists, they are happy to produce subtle variations on the same theme, over and over, across the span of their careers. 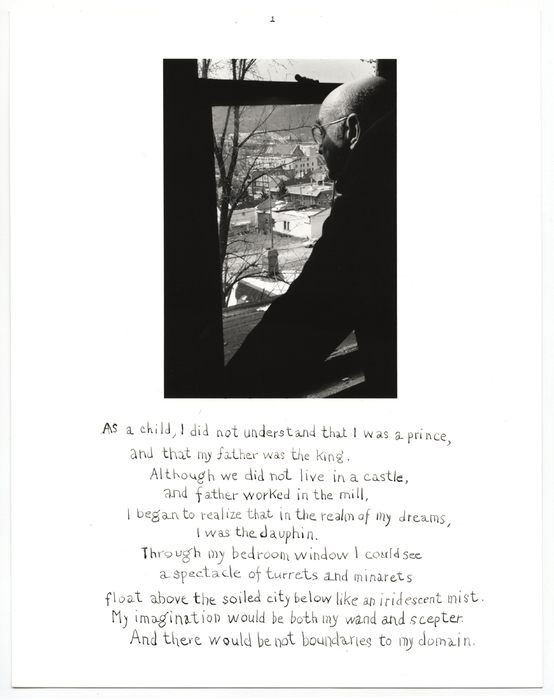 Duane Michals is, quite emphatically, not one of those artists. Given his tremendously varied body of work, putting together a retrospective on Michals was a tall task. Linda Benedict-Jones, the curator at the Carnegie Museum of Art in Pittsburgh, was up for the challenge. 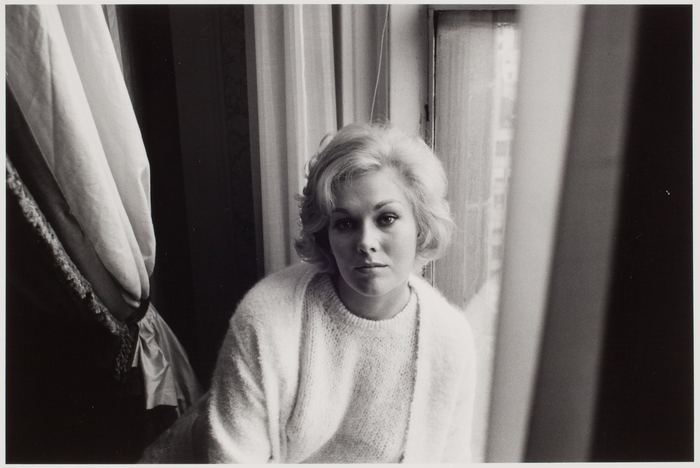 Over the course of five years, she worked exhaustively on her favorite subject—she mined his archives, worked closely with the man himself—and in the end, produced a magnificent exhibition, “Storyteller: The Photographs of Duane Michals.” The show offers an amazingly varied (yet admirably structured) summation of this pioneer’s contribution to the field of photography. Benedict-Jones was first drawn to Michals because from the very first time she saw his work, she felt that he was truly extending the meaning and possibilities of what a photograph could be. From photography’s narrative potential to its raw, personal expression (of the self, of desire, of many things), Michals blew away the idea of objectivity, of a Life picture-story and opened up frontiers that are still being explored today. Given the challenge of condensing and communicating Michals’ immense oeuvre to an audience, Benedict-Jones elected to organize the show around themes, rather than chronologically. In doing so, the exhibition highlights how Michals had a boundless creativity but also returned to themes over and over throughout his career. For example, the themes in the show range from “Children’s Stories” to “Desire,” “In the Mind’s Eye” as well as “The Artistic Kind,” showcasing the breadth of the man’s voracious approach to photography. 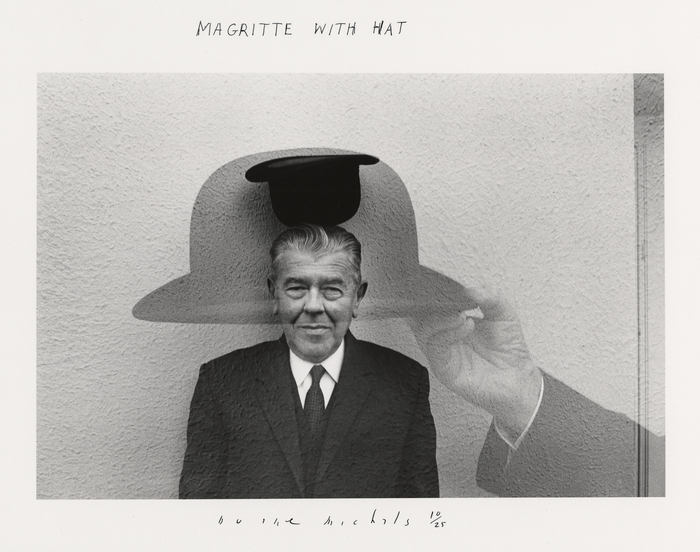 Duane Michals is an artist who has been much imitated, highly influential and endlessly re-inventive. Although we can see signs of his groundbreaking influence everywhere we look, there is no better place to re-discover his genius than at its very source.